End of March 1996, Kalteng Consultants (Dr.Boehm, Dr.Rieley, Dr.Sieffermann. Dr.Page and Stefan Haisch) held a presentation in front of the chairman of the Indonesian Peatland Society Dr.Bambang Setiadi and the director Anur Rofiq at BPPT, Jakarta. This presentation revolved around the Peatland Evaluation and Land Use Planning in Kalimantan Tengah, Indonesia by Multispectral and Multitemporal Remote Sensing with Satellites Images and ground truth campaigns. With Mr. Felber from GTZ important environmental discussion took place. Additionally there was performed in Kalimantan Tengah a ground truth campaign with Dr.Boehm, Dr.Rieley, Dr.Page, Dr.Sieffermann and Stefan Haisch with tremendous help of lectures from the University of Palangkaraya, Ir. Suwido Limin, in April 1996. An aerial survey was performed with a Cessna 185 on 11. 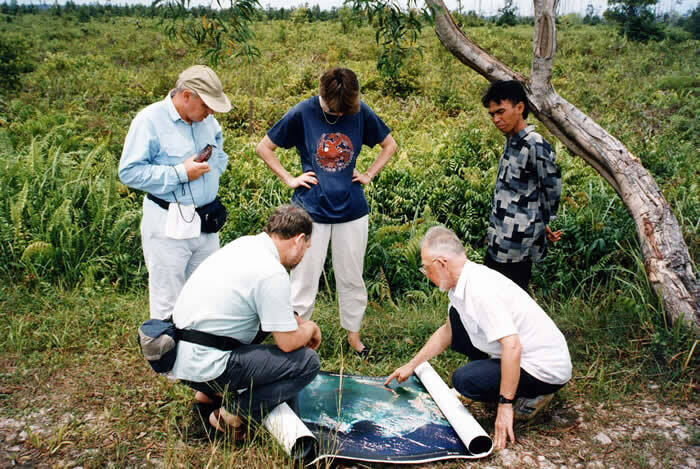 April 1996 to the southern and northern area from Palangkaraya over a part of the PSF area conducted by Dr.Boehm in co-operation with Dr.Rieley and Stefan Haisch. Pangkok near Pulang Pisau, Anjar Baserang, Kapus River, start of building the MRP channels near Lamunti, Kalimantan Highway, Kahayan region at Bukit Liti and to Rungan area around the Tangkiling Granit Hills and along the new transmigration village Transsabangoep. The Governor and the Vice-Governor of the Province Central Kalimantan invited Kalteng Consultants for a presentation of the PSF-proposal and for discussions of conversion aspects of the 1 Million ha Rice project. Officials from e.g. BAPPEDA and BPN were present on 12. April 1996. Later another presentation was given to the Environmental Minister Ir. Sarwono in Jakarta. The minister planned to establish a data-bank of the PSF zonation which includes the thickness of the PSF, soil quality and the hydrology (watersheds) in the area between the rivers Kahayan, Kapuas and Barito. 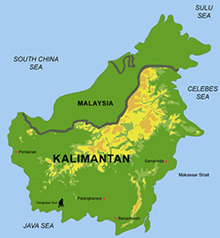 Kalteng Consultants can support the government to collect important basic data in an Geographical Information System (GIS) and to monitor Kalteng with the aid of satellite images. Reference: Böhm, H.-D.V., S. Haisch (1996). ”Report of ground truth campaigns incl. 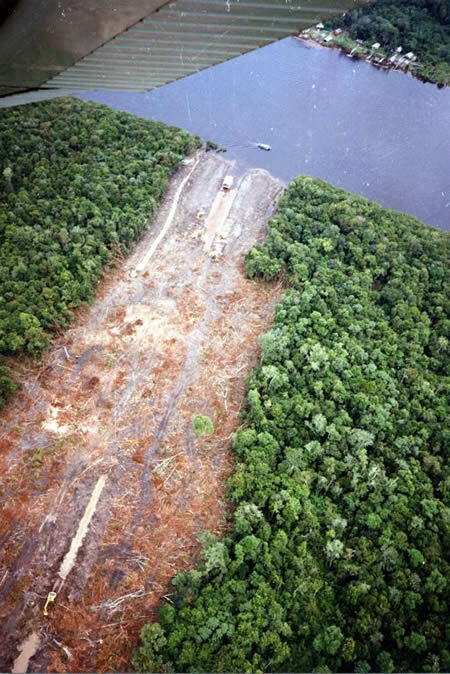 aerial survey in Kalimantan Tengah, 27th of March - 20th of April 1996”, Kalteng Consultants Report, 24.06.1996, 38 pages.